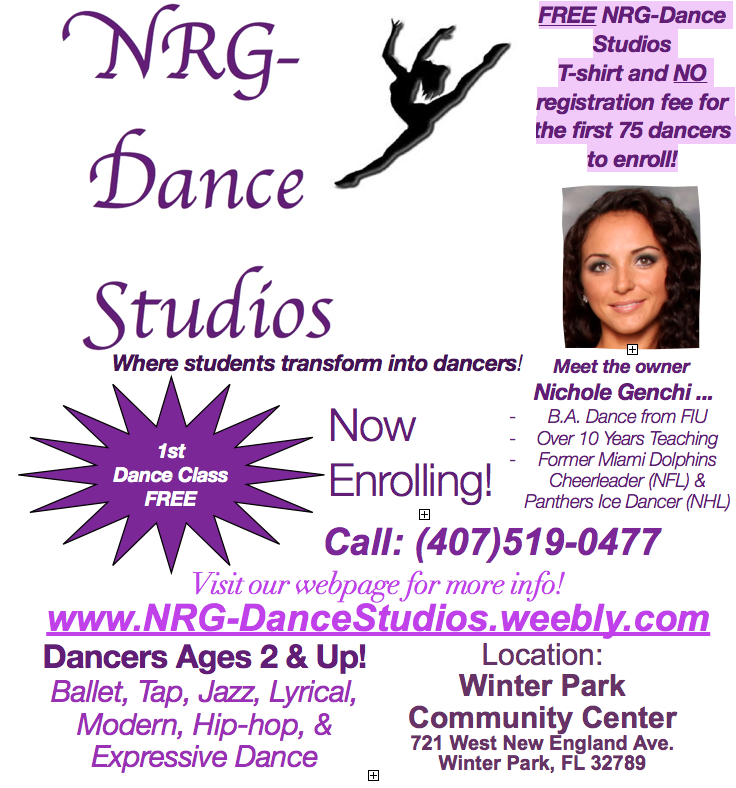 Dance Mission Statement - Winter Park Dance Studio 1st Dance Class FREE! Ballet,Tap, Jazz, HipHop, Lyrical, Modern, Cheer/ Tumbling, Expressive Dance! Our constant goal at NRG - Dance Studio is to properly educate students in many different forms of dance while sharing our passion for dance with all of our students. Our love of dance will grow together!